The first sale of the spring run of Santa Gertrudis bull sales was the 7th annual Benelkay on property sale. With drought conditions worsening across NSW, Andrew Orman made the comment in his opening address that, this year’s sale bulls have only seen 201mm of rain since the last sale twelve month ago. At the completions of the sale, 33 bulls sold to a top of $9,000 with an average of $5,064. The top price for the day came in lot 9, Benelkay Meatloaf M066 (P), selling for $9,000 to John and Robyn Donoghue, Donoghue Farms Quirindi. Meatloaf M066 (P) weighed in at 878 kg with a 1.13kg average daily weight gain, measured 41 centimetres in scrotal circumference, and had an impressive eye muscle area of 131 centimetres and an IMF of 6.1%. John commented, “Meatloaf is a very correct eye appealing bull with exceptional length with a strong top line and hindquarter”. Second top price came for lots 18, Benelkay Mammoth M144 (P) and lot 26, Benelkay Montego M104 (P) both making $8,000 each and both selling to Glenayr Pastoral, Bingara. Mammoth M144 (P) was an outstanding Dreamtime son with a lot of potential out of Benelkay 1779 (P) an excellent breeder with all of her calves classifying. Weighing in at 835kgs at 23 months and a daily weight gain of 1.21 kgs, 42 centimetres in the scrotal, 128 EMA and 6.4% IMF. While Montego M104 (P) at 23 months weighed 784kgs had a daily weight gain of 1.14 kgs, a scrotal circumference of 38cms, EMA of 129 and 4.9% IMF. Volume buyers on the day were Donoghue Farms Quirindi purchasing 3 bulls for an average of $7,333. Glenayr Pastoral, Bingara also purchased 3 bulls at an average of $6,666. 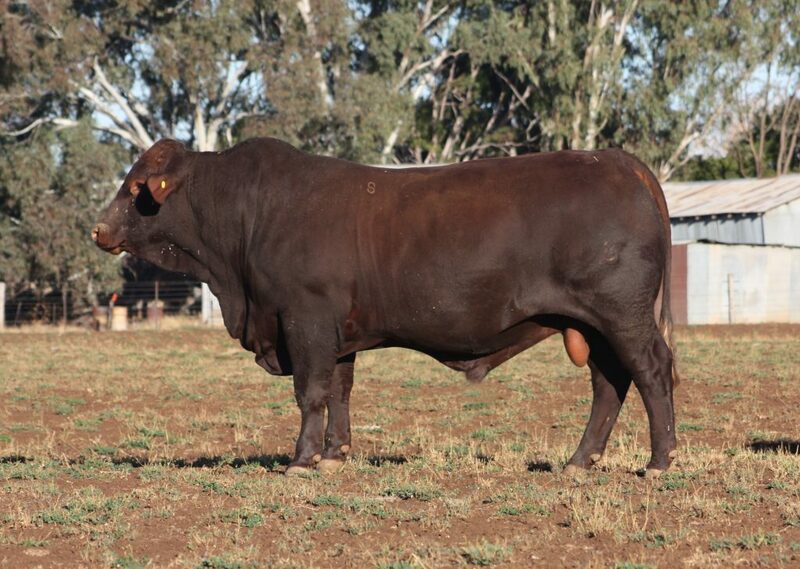 Widden Stud Australia, Denman purchased 3 bulls for a $6,000 average. New buyers from Queensland Darryl and Carmel Waugh Meandarra, also secured 3 bulls at an average of $4,000 each as did 3 C Partnership Kurravale Cobbora. James Wippel Quirindi, Bruce Russell Manilla and Ian Hamilton Kingston all secured 2 bulls each paying a $5,000 average. After reflecting on the sale results Andrew said “We are pleased with the result considering the season, the driest on record for North West and Western NSW. This result is a testament to our repeat commercial clients with all but three of the bulls purchased by repeat clients, who are very pleased with the results they are getting with our genetics”.